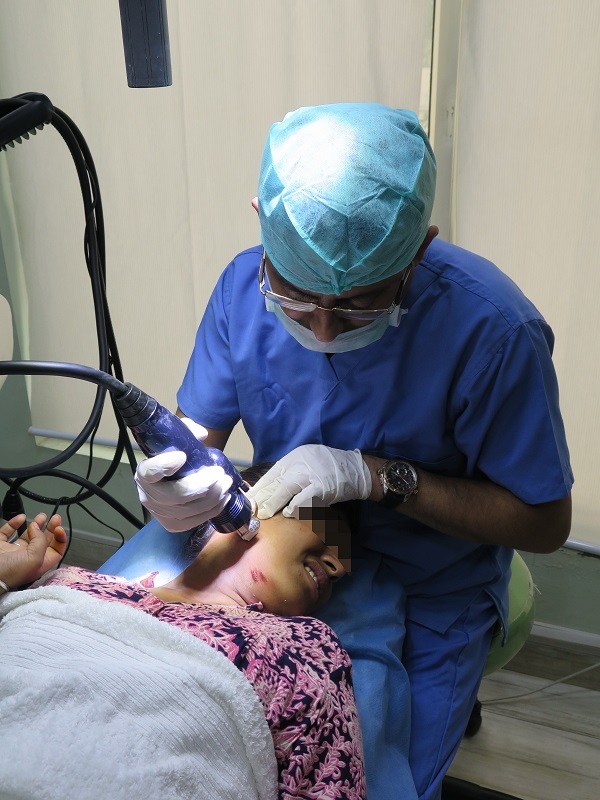 Mehaan Charitable Foundation | Initiating free laser treatment of scars for acid attack survivors. 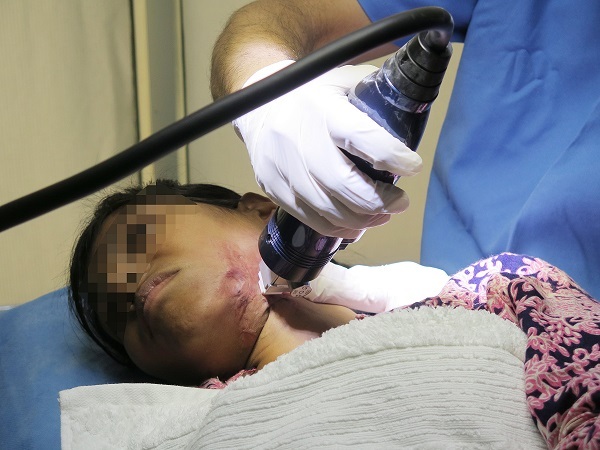 Initiating free laser treatment of scars for acid attack survivors. 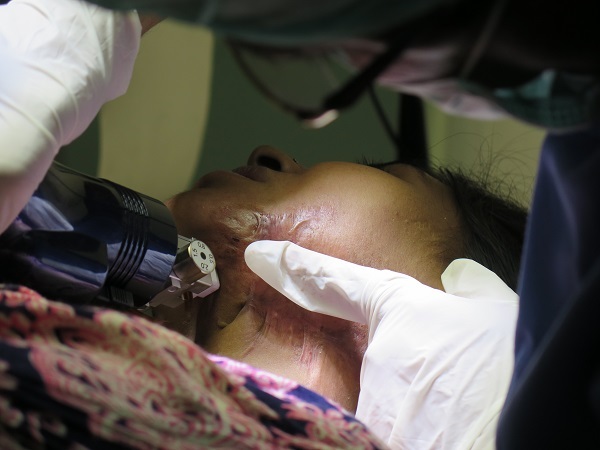 Home > Uncategorized > Initiating free laser treatment of scars for acid attack survivors. On Nov 3rd we started our initiative of providing free treatment to Bharti an acid attack survivor. Bharti was attacked with an acid by his paternal uncle when she was just 14. She suffered deep scars at her back, shoulders, face and neck. Her face scars were hard and skin was strictured. In order to soften her hypertrophic scars and keloids our on board dermatologist Dr.Anuj Pall administered an intralesional injection. After an hours gap treatment of radiofrequency microneedling was provided. Radiofrequency microneedling is the most revolutionary and latest treatment which helps in collagen rebuilding and minimizing the scar appearance. This is a small step and support through which we are trying to normalize the lives of an acid attack victims. We strongly condemn such violent crimes and would be looking forward to provide free scar minimization treatment. Currently these survivors are coming from Atijeevan Foundation. We look forward to provide this free treatment to other acid attack survivors coming from other organisations too. Do share this information among others so that acid attack survivors trying to avail this treatment can reach out to us directly.